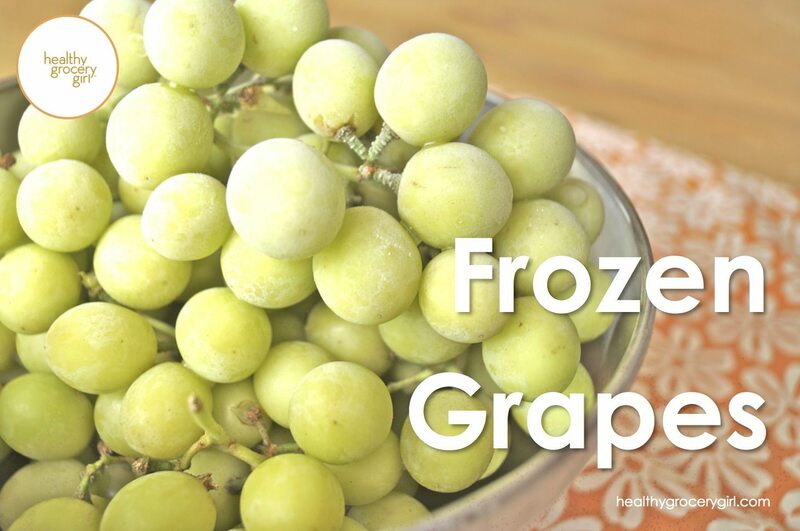 Frozen grapes is really a healthy snack idea, more than a recipe. Yet it’s a simple healthy frozen treat that kids and adults will love! Wash grapes and place in a bowl, leaving grapes on the vine. Place bowl of grapes in the freezer for at least 2 hours. Once grapes are frozen, simply pop the grapes off the vine and enjoy!